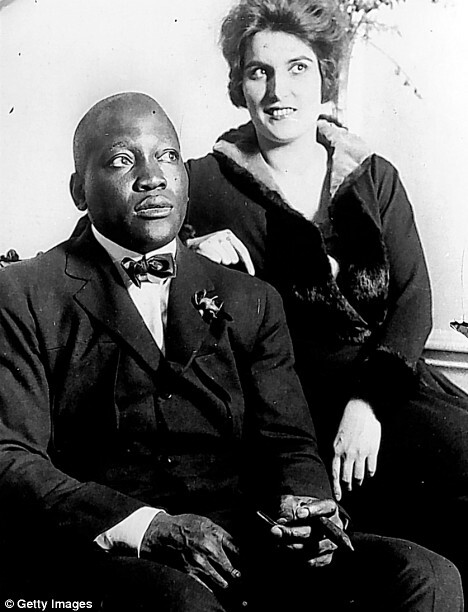 The New York Times reports that Gary Wurst, a family member of James J. Jeffries, says a pardon for the long dead boxing legend Jack Johnson "would rectify the wrongs of the past." Jeffries, of course, was the man Johnson beat in what was labeled the "the Fight of the Century." The Times reports that Mr. Wurst and "several Johnson descendants" gathered Friday "at a Reno gala marking the centennial of the July 4, 1910, bout and shook hands on stage." It is also noted that supporters of the pardon "say Johnson’s conviction for transporting a woman across state lines for immoral purposes was steeped in the racism of the time." PardonPower hopes that, should President Obama ever decide to grant a pardon (he has yet to do so), that he will give preference to the real suffering and disability of living clemency applicants. When he was alive, Mr. Johnson never sought a pardon from the president and - given what we know about him - one wonders what he would really think of all of this effort - supposedly on his behalf - today. One need not be a Sherlock Holmes to discover Johnson was hardly a role model for today's African American youth - along the lines of, say, Preston King. His (Johnson's) primary contribution to society appears to be his enthusiasm for his own performance in the boxing ring where, of course, he also lined his own pockets in cash suitable for a life-time of expensive automobiles and reckless driving, expensive clothes and exotic jewelry, broken marriages, spousal abuse, alcohol, prostitutes and stupendous financial irresponsibility. Filmmaker Ken Burns would have us believe that the animosity directed toward Johnson was primarily racially motivated. This seems plausible enough, among the Nation's boxing fans. But, for a majority of Americans, who were only familiar with Johnson's celebrity, there was plenty enough with which to take offense, that had nothing whatsoever to do with race. Of course, that Johnson suffered as a result of racial prejudice makes him no more deserving of a pardon than a cruel tyrant is cleansed of the responsibility of abuse of power because of hate mail, or attempted assassinations. In addition, if pardoning dead people becomes a priority, there are plenty of people who are at least arguably more deserving than Johnson (Marcus Garvey, Samuel Mudd, Ellis H. Parker, O Henry, Laura Ingalls, etc.). See story here.